As you all probably know by now, I love products. There is close to nothing that makes me happier than coming to a package of goodies, or spending excessive amounts of time in the aisles of Target and Sally's. So imagine my thrill when I received a package of goodies from the Jessicurl Rich and Radiant Collection! The collection itself contains 7 products, and if I were to review them all, this article would go on forever. 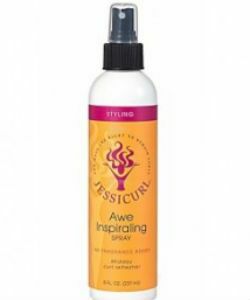 So to give you all the best impression of the line, I've narrowed the review down to focus on 4 products: the Hair Cleansing Cream, Deep Conditioning Treatment, Spiralicious Styling Gel, and Awe Inspiraling Spray. All of the products are in the Island Fantasy scent, which I am head over heels about. It is light, tropical, sweet, slightly floral, and in no ways overpowering. But just in case that isn't your cup of tea, there is a Citrus Lavender and an Unscented option. 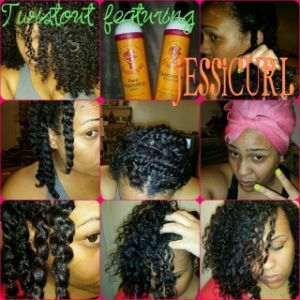 All of the Jessicurl offerings are Curly Girl-friendly, and Jessicurl.com offers tons of information and tips on how to best use the products. There is something for everyone of every texture - from the kinkiest curls to the loosest waves. Mild and moisturizing shampoo alternative. Decyl Polyglucose: Mild, non-ionic synthetic surfactant derived from glucose and starch. Vegetable Glycerin: Humectant which draws moisture from the air into the hair. I had high hopes for the Hair Cleansing Cream, especially since a "to die for" shampoo alternative is hard to come by. I haven't had much success in the cowash/poo-alternative department. Unfortunately, this product didn't work for my hair the way I hoped it would. It has great slip, smells amazing, and my hair and scalp were clean - but that's where it ended for me. My hair felt dry and a little rough, which was disappointing. I wanted so much to like this stuff! Upon further inspection of ingredients, I realized it contains sodium cocoyl isethionate - an ingredient I have discovered that my hair hates. I have used other shampoo alternatives that contain sodium cocoyl isethionate, and the results have been the same. I'm not a fan of the Hair Cleansing Cream, but that doesn't mean it won't work for you. After all, every head of hair is different! Infused Water: The extracts, herbs and essential oils in the water infusion work together to strengthen the hair, stimulate the scalp, provide slip, and impart moisture and softness. Cetearyl Alcohol: Combination of cetyl and stearyl fatty alcohols and emollient conditioners known for giving products a creamy, thick texture and feel. Shea Butter: Emollient fat from the nut of the east or west African shea nut tree. Used to moisturize and soften hair. Avocado Oil: Moisturizing oil extract rich in omegas that is able to nourish and strengthen hair. Love, love, love! 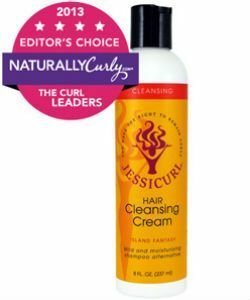 One thing that I find to be particularly awesome about the Jessicurl brand is that rather than provide superfluous product claims and descriptions on their bottles, they allow customer feedback to speak for the products. I read so many good things about the Deep Conditioning Treatment - and they were all TRUE! I simply adore this stuff -- it is thick without being unbearable (it has a hearty lotion consistency), spreads easily through the hair, smells delightful, and easily helps detangle the hair. It is also super versatile- I've used it as a pre-poo, leave-in, and deep conditioner. As a pre-poo and deep conditioner, it leaves hair super soft, shiny, and moisturized. Not to mention, it cures my rough end woes! The ends of my hair tend to be more porous and dry than the rest of my hair, and Deep Conditioning Treatment corrects that like a dream! As a leave-in, it is a Godsend for thirsty hair, and helps encourage curl definition and clumping. All in all, this is definitely going on my Must Haves for 2014 list! Water (Aqua), Polyquaternium-69, Polyquaternium-11, Hydroxyethylcellulose, Simmondsia Chinensis (Jojoba) Seed Oil, Panthenol, C 12-15 Alkyl Benzoate, Fragrance, Diazolidinyl Urea (and) Iodopropynyl Butylcarbamate. Polyquaternium-69 and 11: quaternary ammonium compounds known for film-forming/anti-frizz, conditioning, shine-imparting, cuticle flattening, and improving elasticity and combability of hair. Hydroxyethylcellulose: Naturally derived polymer used for thickening. Jojoba Seed Oil: Light moisturizing and sealing oil, known for being closest in composition to sebum naturally created by our scalps. C 12-15 Alkyl Benzoate: Surfactant-free emulsifier and stabilization polymer. Yes to Spiralicious! Right now, I am really into cream-based definers as opposed to gels. 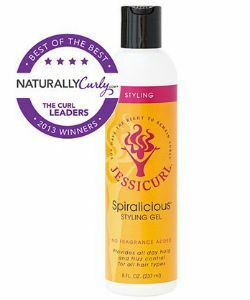 And although Spiralicious is labeled as a gel, it definitely does not look or feel like one. As far as consistency is concerned, it is slightly more watery than my holy grail TIGI Catwalk Curlesque Curls Rock Amplifier. But unlike Curls Rock Amplifier, Spiralicious is free of cones and other CG-unfriendly ingredients. It spreads super easily through the hair, and has tons of slip which makes it ideal for raking to define curls. 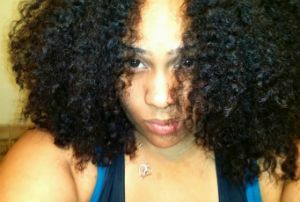 Not only has Spiralicious given me great wash and go curls, it gave me the most epic braidout EVER! It was soft, fluffy, bouncy, and still had hold, but was nowhere near crunchy to the touch. I was even able to rock a super shiny twistout thanks to Spiralicious and Awe Inspiraling Spray. Talk about a total win, and super versatile product! Aloe Vera Leaf Juice Powder: Acts as a natural conditioning agent that restores the hair's sheen, luster, and shine. It not only makes the hair soft, but it also enhances strength and suppleness. Admittedly, I've never been one for refresher sprays. Most of it has to do with the fact that as a transitioner, refresher sprays spelled out sudden death for any texture blending style. But now that I am completely natural and totally into wash and go's, refresher sprays are slowly creeping into my routine -- and Awe Inspiraling is a keeper! It made my hair soft, moisturized, bouncy, shiny, and voluminous - without a tacky, icky, greasy, or product-y feeling that can accompany some refresher sprays. Plus, it has some pretty good detangling ability, which I didn't expect! 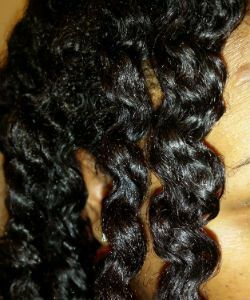 I was able to get a pretty sassy twistout using Awe Inspiraling to refresh and detangle my hair, and Spiralicious to set it. I definitely love this spray! I really love the Jessicurl line of products. The packaging is colorful and fun, and the Island Fantasy fragrance is everything I could ask for in a scent. Although I didn't care for the Hair Cleansing Cream, I will definitely be stocking up on the Deep Conditioning Treatment ASAP! Don't be surprised if you see me on Instagram ordering it by the gallon (seriously)!